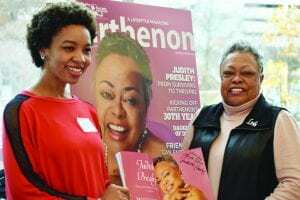 NASHVILLE, TN — Meharry Medical College partnered with the Parthenon (TN) Chapter of The Links, Incorporated, TN Department of Minority Health and Disparities Elimination, SelfMade Network, and the Intercultural Cancer Council to sponsor a special summit presented by the TN Breast Cancer Awareness and Action Coalition on Saturday, December 9, 2017 at the Cal Turner Family Center on Meharry’s Campus. Over 400 women registered for the free summit that was educational, supportive, and empowering. Attendees were welcomed to the summit by Meharry’s President Dr. James Hildreth; the Dean of the School of Medicine Dr. Veronica T. Mallett, and Dr. Jan-Nee Sheats-Mathis, president of the Parthenon (TN) Chapter. 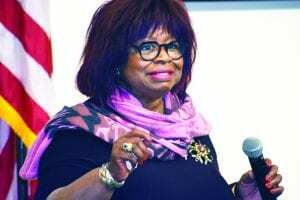 The summit was the vision of Patricia Matthews-Juarez, Ph.D., Vice President of the Office of Faculty Affairs and Development; Professor, Department of Family and Community Medicine; and Director of Research Training Core, Health Disparities Research Center of Excellence. Dr. Matthews-Juarez has held several summits around the country that have focused on cancer survivors, at risk women of color, and lives that have been touched by breast cancer. Each summit has included vendors who are resources, patient advocates and community leaders who work tirelessly to address cancer disparities and survivorship. St. Thomas Health Mobile Mammography Coach provided free mammograms as well as Meharry’s dental students performed oral health examinations. A nutritionist and several faith leaders gave a holistic approach to health, wellness, and spiritually during the summit. Summit attendees were also pampered with massages and manicures provided by NáSah’s Nail Salon. l-r; Jennifer A. Douglas with Dr. Judith Presley and her book, The Parthenon. spoke to​ the audience that included many who traveled from Memphis and Chattanooga. Meharry Medical College, founded in 1876, is the nation’s largest private,independent historically black academic health center dedicated to educating minority and other health professionals. True to its heritage, it is a UnitedMethodist Church related institution. The College is particularly well known for its uniquely nurturing, highly effective educational programs; emergingpreeminence in health disparities research; culturally sensitive, evidence-based health services and significant contribution to the diversity of the nation’s health professions workforce. 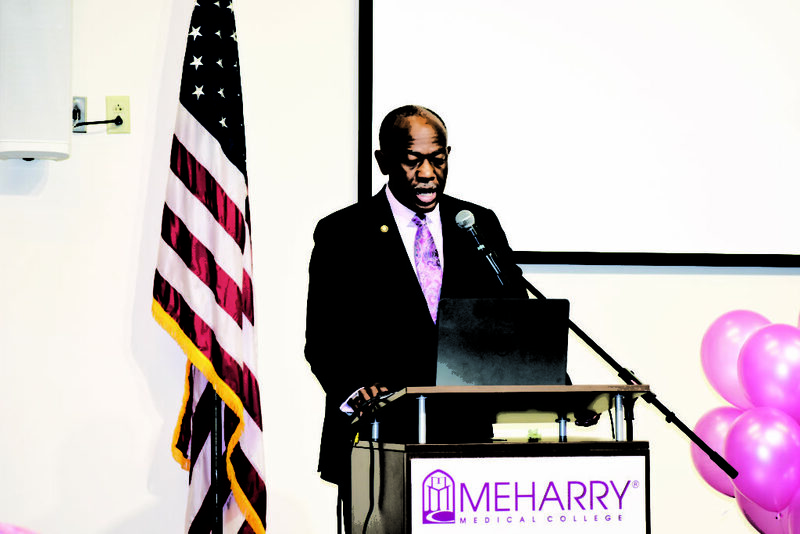 Meharry is a leading national educator of African Americans with M.D. and D.D.S. degrees and Ph.D. degrees in thebiomedical sciences. Visit www.mmc.edu to learn more. The Links, Incorporated, founded in 1946 by a circle of nine friends in Philadelphia, Pennsylvania, celebrates 71 years as a premier international women’s volunteer service organization committed to enriching, sustaining and ensuring the cultural and economic survival of African Americans and other persons of African ancestry. The organization has more than 15,000 members in 285 chapters in 41 states, District of Columbia and the Commonwealth of the Bahamas. The members of The Links are influential decision makers and opinion leaders. With more than two million service hours recorded in the past three years, members regularly contribute more than 1,000,000 documented service hours in their respective communities annually. The Links Foundation, Incorporated, the philanthropic arm of The Links, Incorporated, has made more than $25 million in charitable contributions and is focused on creating transformational programming and impacting lives in communities of color through Services to Youth, The Arts, National Trends and Services, International Trends and Services, and Health and Human Services. For more information, please visit, www.linksinc.org.